When the gravy train to China starts running, it can be educational for investors in the greater Sino-Russian iron-ore market to slow down, and patiently study how Australians, rivals of the Russians and other iron-ore suppliers, behave when the brakes are off – and the regulators appear to be going in another direction. Australia’s newest iron-ore miner to start shipping to China, BC Iron (ticker BCI:AU),ought to be seeing the benefit of larger announced reserves, more rail and port capacity to ship cargoes, and a freshly minted report from KPMG confirming that a fair valuation of the company’s prospects is a share price between A$3.80 to $4.13. That should be good news too for Ukrainian metals mogul, Gennady Bogolyubov, who is the largest single stakeholder in BCI, with 21%. So why, in the two months following release of the KPMG report on May 17, has BCI’s share price continued to lose value, and is currently at $2.80? At this week’s market capitalization of just $269 million, BCI is $106 million below the midpoint of the KPMG valuation in May. 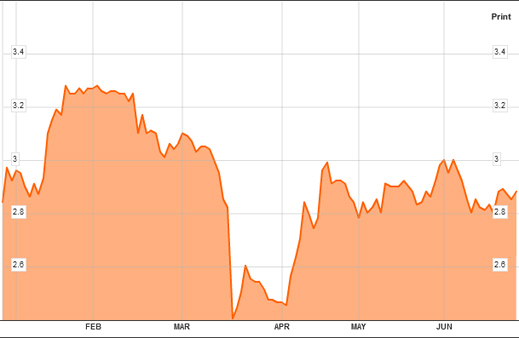 It is also stuck 14% ($43 million) below the takeover price the Australian market was celebrating back in January. The response by BCI’s chairman, Tony Kiernan, a West Australian solicitor, acknowledges the possibility that Australian government investigations, first by the Takeovers Panel in March and April, and an insider trading investigation by the Australian Securities and Investments Commission (ASIC) now under way, may have diverted attention from the positive mining and sales revenue news, and triggered market uncertainty about what will happen next at BCI. So what are the uncertainties? The Australian Takeovers Panel ruled on April 6 that a bid by Regent Pacific of Hong Kong to buy up BCI shares at $3.30 should be reinstated, after Regent Pacific had withdrawn it in March. Regent Pacific is a small holding of Chinese and Mongolian coal and iron-ore assets controlled by James Mellon and James Gibson of the UK, and well-known Canadian mining entrepreneur, Stephen Dattels. Listed in Hong Kong in 1998 (ticker 575:HK), it sold off its Asian assets late last year, in order to make the all-cash BCI takeover offer. At the time, Regent Pacific held 19% of BCI. A month later, on May 11, BCI told Regent Pacific to keep its money in its pocket because it wasn’t enough for what BCI was worth. That announcement appeared to echo earlier shareholder doubts about the fairness of the $3.30 takeover price. But BCI’s termination statement cited expert reports from KPMG for the justification. Meanwhile speculation on BCI’s share price during the seven-week interval between December 13, 2010, and January 21, 2011, is the target of ASIC investigation. That’s the time period when several Australian stock brokers made unusually large trades in BCI shares, triggering price spikes on no publicly available news. BCI chairman Kiernan is emphatic there was no news to trade on, and no leaks either. But the largest of BCI’s shareholders, Bogolyubov with a 21% stake, was not consulted ahead of the BCI agreement, nor after the January announcement which apparently took him by surprise. Bogolyubov owns Consolidate Minerals (Consmin), one of Australia’s largest manganese miners, as well as a manganese mine in Ghana, and mining and metal refining assets in Ukraine. Consmin’s interest in BCI is part of a global expansion strategy. The company recently set an Australian record for an international bond raising of US$405 million to finance its global mine expansion plans. Deutsche Bank and Citi were the arrangers. Consmin has had a long involvement in BCI’s development. In 2006, BCI had been created by an agreement between Consolidated Minerals and Alkane Exploration to combine their iron-ore prospects in the Pilbara region of Western Australia. BCI was then listed on the ASX in December of that year with Consolidated Minerals the largest shareholder. Bogolyubov took control of Consolidated Minerals after winning a protracted bidding contest in 2008. Through that acquisition he inherited more than 21% of BC Iron. 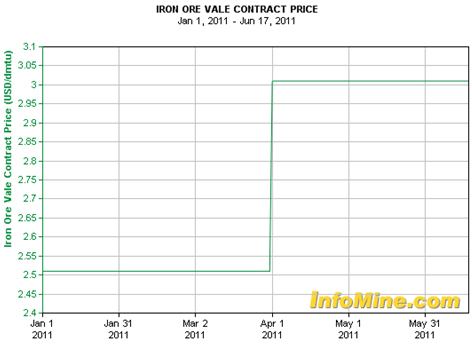 In June of 2009, BCI completed a feasibility study for its iron-ore deposit; the study identified a reserve of about 36 million tonnes of ore with a grade of 57% Fe (iron). A month later, in August of 2009, BCI’s board agreed with the larger iron-ore miner, Fortescue Metals Group, for the Nullagine joint venture. This provided BCI with access to Fortescue’s costly railroad and port loading terminal, as well as to its China marketing network, allowing BCI to concentrate on mine start-up and shipping mine output to China. Until the deal with Fortescue, iron-ore miners in the region kept their costly transportation assets for their own exclusive use. A few weeks later, also with Fortescue’s help, BCI did a deal with a Hong Kong metals trader supplying Chinese steel-mills. This provided a supply and delivery commitment for 20 million tonnes of iron-ore over 8 years, with an initial US$50 million in pre-shipment financing to get the mine up and ready. The plan agreed with Fortescue was to start mining 1.5 million tonnes per annum as quickly as possible, and expand shipments to 5 million tonnes p.a. as the mine pit and railroad capacity allowed. Production and shipping were then due to start in late 2010. The cherry on the cake was unveiled on January 8, this year. New studies were showing, according to the BCI release to the ASX, that the company’s reserves were now 46.2 million tonnes, up 28% on the 2009 estimate, with as much as 80 million tonnes if the outlying deposits on the tenement were counted. Underground, BCI appeared to be getting richer by the day. But unbeknownst to the market, BCI’s board had decided to sell the lot, lock stock and barrel at $3.30 per share. The Australian Takeovers Panel in Canberra began its investigation of the deal on March 22, in part because of Bogolyubov’s complaints and in part because by then Regent Pacific was trying to withdraw altogether. Compelled back into the bidding by the ruling of the Panel, Kiernan says by then he had received a draft report on valuation from KPMG. “The expert”, Kiernan said, “was requested to complete its report. To achieve this, [KPMG] needed to reflect the current situation and requested update information on BIC Iron as a few months had passed. We gave that information and the report was produced [on] 9 May.” It is not clear what news BCI gave KPMG’s initial drafts and the final one six weeks later. On May 11, BCI announced it had been briefed by KPMG and persuaded the offer price was “not fair and not reasonable”, based on KPMG’s report. But the report itself was not released. A summary followed on May 17, in which KPMG was reported as valuing BCI’s share price at a premium of 15% to 38% above Regent Pacific’s offer. Argonaut is on record as acknowledging there were signs of unusual BCI share trading on December 13, 14, and 15, at volumes way above normal for BCI on the ASX. The magnitudes were on the order of 3 or 4 times the normal volume and the value of trades in BCI shares. Argonaut, it seems, executed a very large trade on December 13, the day Regent Pacific and BCI signed their deal. Commonwealth, the securities trading arm of the Commonwealth bank of Australia, executed a very large trade on December 14 and more on December 15 and 16. Cameron Securities, Deutsche, and Morgan Stanley Smith Barney appear to have joined in the fun that week. Then the following week – without any market disclosure of the December 13 agreement or the due diligence Kiernan says was under way — there were whopping trades in BCI by Bell Potter and Merrill Lynch. There is corroboration in the share price trajectory for BCI: there were unusual price spikes on December 14 (+8%), December 22 (+4%), and January 13 (+6%) — all before the market announcement from BCI and Regent Pacific on January 21. Then in March, just before BCI announced it was putting the kybosh on the takeover deal, someone started selling BCI shares, driving the price down from $3.40 on March 1 to $2.40 on March 16 – a loss of 23% or $66 million in market cap. Regent Pacific was bound by confidentiality undertakings not to disclose its negotiations at the time with BCI and Consmin, but the due diligence and expert reporting involved many people. Whether the ASIC investigators uncover who they were, and whether there was an insider trading scheme to generate profit at BCI’s expense, remains to be decided. Until it is, BCI can’t realize the silver lining under its cloud. 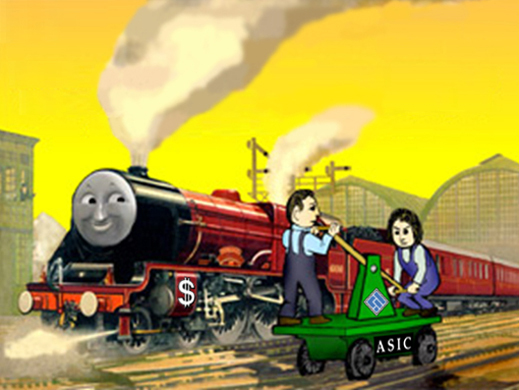 The ASIC does not comment on its investigations.